Deal of the Day: Lexus GS300h | What Car? 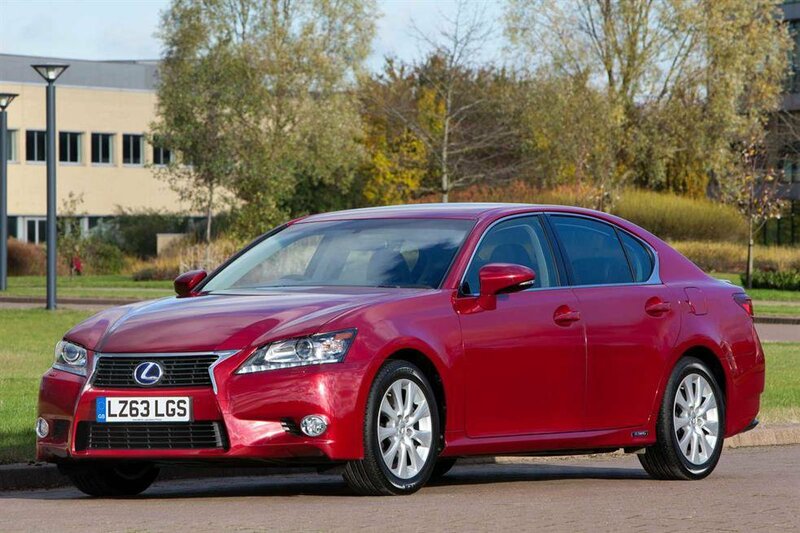 In our round-up of the most fuel efficient executive cars, the Lexus GS300h returned a respectable 51.4mpg in our tests. That's shy of its claimed 60.1mpg but still not a figure to be sniffed at for its competitive class. The petrol-electric hybrid saloon is a quiet, refined and comfortable cruiser that emits just 113g/km of CO2 and offers a genuine alternative to the BMW 5 Series and Jaguar XF. As with all Lexus models, the GS300h has quality craftsmanship that could match any of its premium rivals; its safety and security features are top notch, too. The Mark Levinson sound system on this particular model adds value too, combining smartphone connectivity with impressive sound quality. It may beat the XF on efficiency, but it can’t match the Jaguar or other rivals dynamically. The GS300h's boot doesn’t offer as much space as its competitors, either, and rear leg room lags behind that of rivals. Electrically adjustable seats, front and rear parking sensors, digital radio, a reversing camera, heated and ventilated leather seats, sat-nav and larger wheels all come as standard with Luxury trim. Options are mostly cosmetic, and include different paintwork for £610. Head to autoebid.com then select ‘Lexus’ and ‘New Lexus GS Deals’ to see the full range of deals available.